It is difficult to be unemotional about Cuba: it thrills our senses, befuddles our minds and tugs at our hearts. 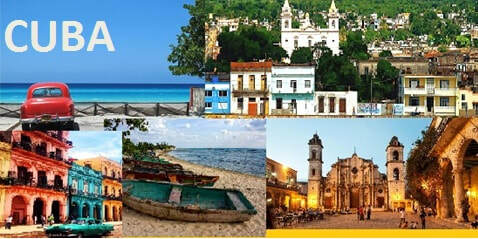 It is a romantic island, full of music and rhythm, baseball and ballet, jazz clubs and street art. World Pilgrims is going on a journey to connect with the very diverse Cuban people who are generous, hospitable, fun-loving, expressive and spiritual. By traveling on religious visas, World Pilgrims will be able to interact with grass-roots faith communities in Cuba, support their work and their people. We will be staying at seminaries and dormitories, so we can keep the price of the journey low and focus on the human-to-human encounters. This is a great pilgrimage for the adventurous and the curious. As with all World Pilgrimages, we will celebrate the diverse religious traditions of the Pilgrims and of Cuba. We will learn the island’s history, visit its museums and beaches, and better understand this country that is so close and yet feels so far. Registration: $1950 includes airfare (Delta) and visas, dorm-style accommodations for six nights, bus transportation, guides, entrance fees, three meals daily. Download the application below.